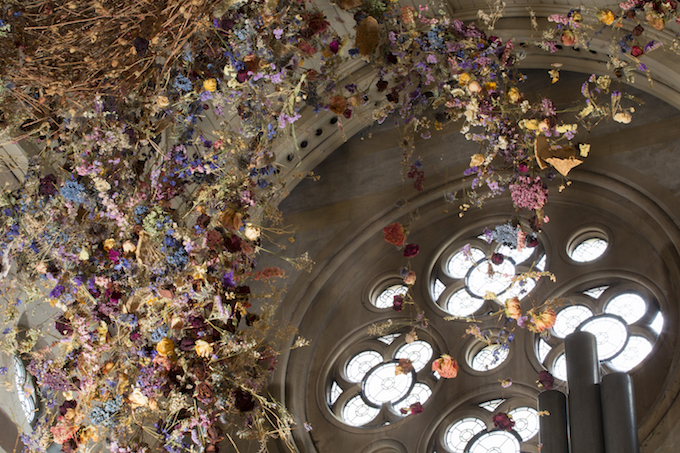 London-based artist Rebecca Louise Law creates breathtaking large-scale installations of suspended flowers. 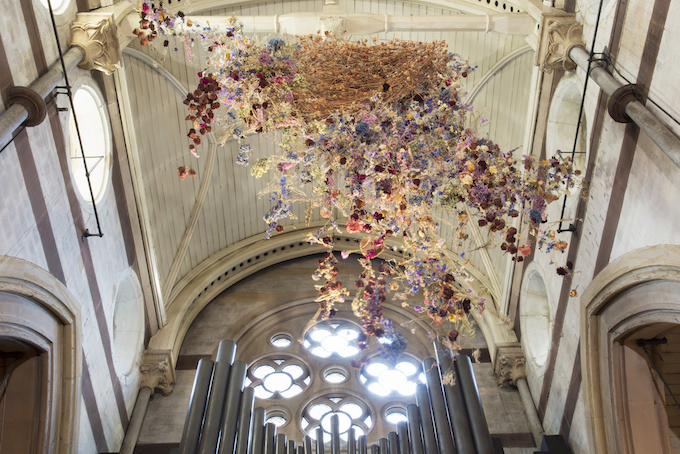 Her floral artworks are colorful, inviting, and can completely transform the environment. 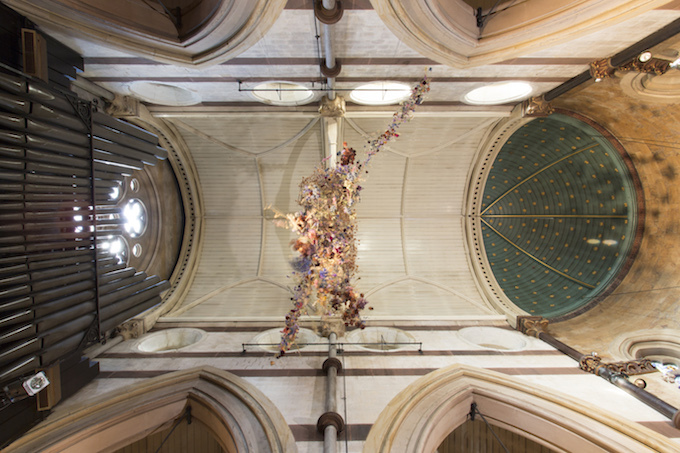 Law’s recent installation, ‘Drying’, is currently exhibited at the Luton Hoo Estate, until September 28th. 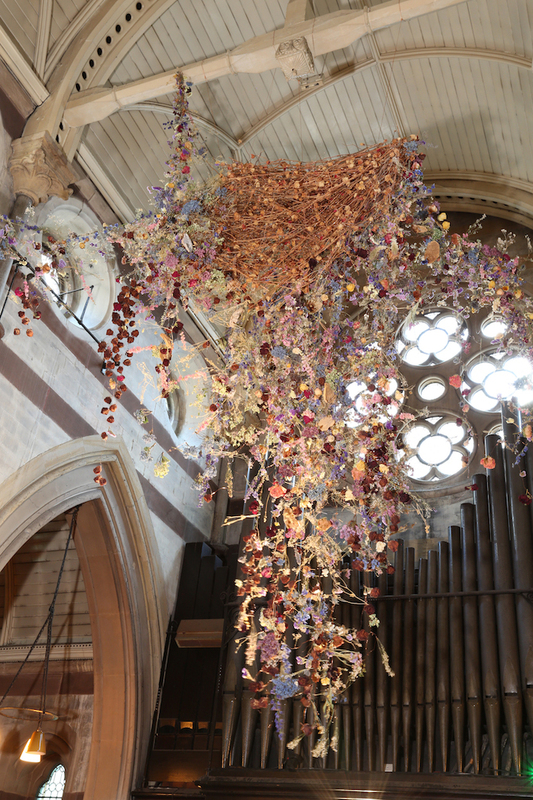 The site-specific artwork consists of thousands of dried wild flowers, collected over the last three years with copper wire that is suspended from above, creating an intriguing new dynamic within the space. 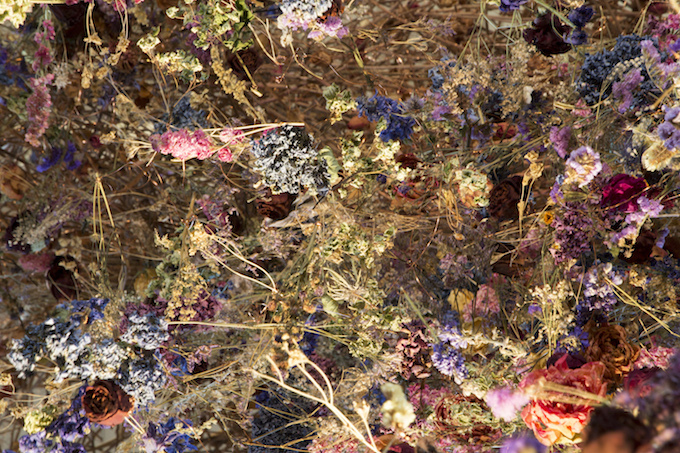 Drying, invites the visitor to reconsider their views on the value of natural materials.